The Rev. Theodore M. Hesburgh, C.S.C. 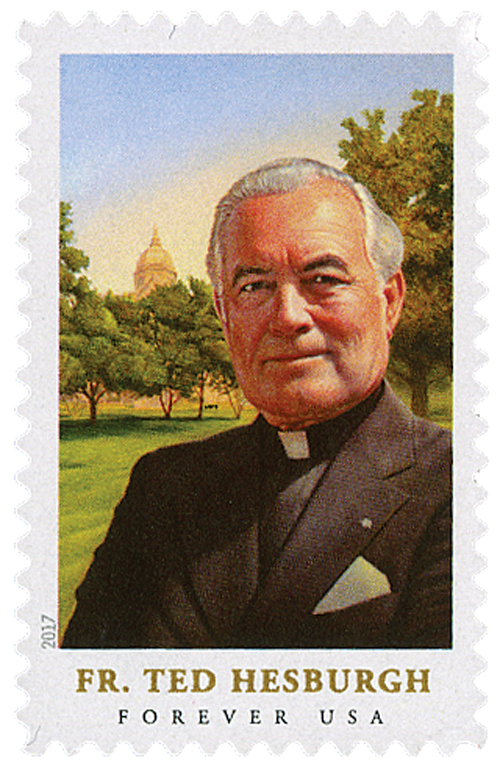 (1917–2015), longtime president of the University of Notre Dame, is considered one of the most important educational, religious, and civic leaders of the 20th century. A champion of causes ranging from immigration reform to civil rights, Father Hesburgh worked with many organizations in roles that reflected his personal beliefs, including the U.S. Commission on Civil Rights, from 1957 to 1972. He was the recipient of many honors, receiving two of the nation’s highest civilian awards: The Presidential Medal of Freedom in 1964 for his contributions to civil rights, and the Congressional Gold Medal in 2000.